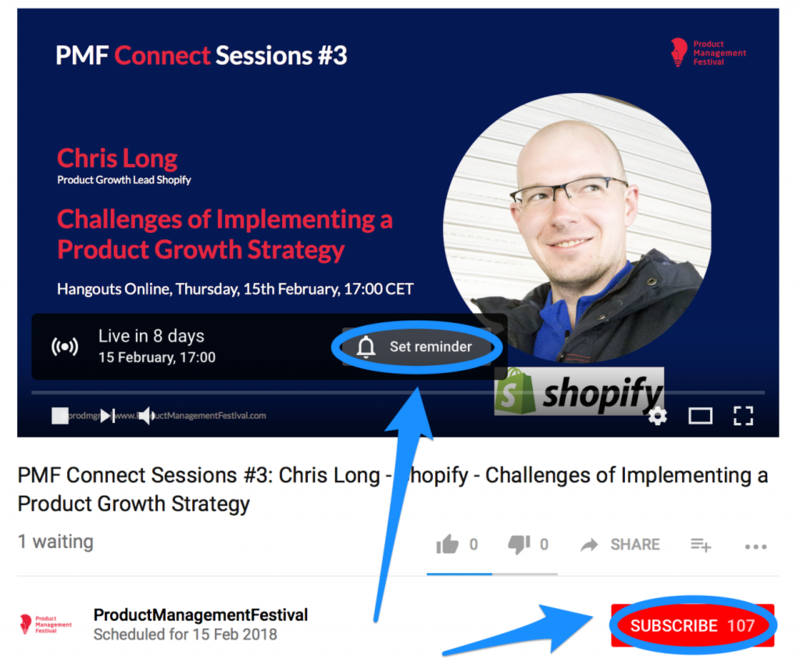 Our February PMF Connect Session is on “Challenges of Implementing a Product Growth Strategy” with PMF 2017 speaker Chris Long on Thursday, 15 February 17:00 CET. In each PMF Connect session, the guest speaker will open with a few highlights on their respective topic and then open it to the audience for questions. This is the time to pick the brain of someone who’s “been there done that” about the particular topic! Charged with the task of growing your product? Once the appropriate growth strategy has been determined, oftentimes it’s implementing it that can be the challenging part. Chris Long, product growth lead at Shopify, has made a career of developing, managing, and growing products. Come with your questions and hear him share his experiences and thoughts on addressing the challenges of implementing a product growth strategy. Chris Long leads the product growth team at Shopify. Over the past 4 years, he has developed a team focused on growing Shopify through product. With a background in product management and development, he is in a unique position to combine product and growth. At last year’s Product Management Festival event, he spoke on the topic, “How to Lose Your Hair and Grow a Product.” Chris has a degree in Computer Information Science and Mathematics and is based out of Toronto, Canada. PMF Connect Session #3 will take place on 15th of February at 17:00 CET.